Popular audio brand Sennheiser has launched the perfect set of its Bluetooth earbuds for gym-goers and adventurers called the CX Sport. The Sennheiser CX Sport are wired Bluetooth earbuds, that are quite lightweight and are designed to be worn around the neck. They have a sporty black and yellow aesthetic that looks stunning, plus a 3-button in-line remote to control music and accept calls. It comes with not just a cable organizer that lets you adjust the cable length but also a set of three ergonomic fins that make sure that earbuds stay inside your ears during a workout. 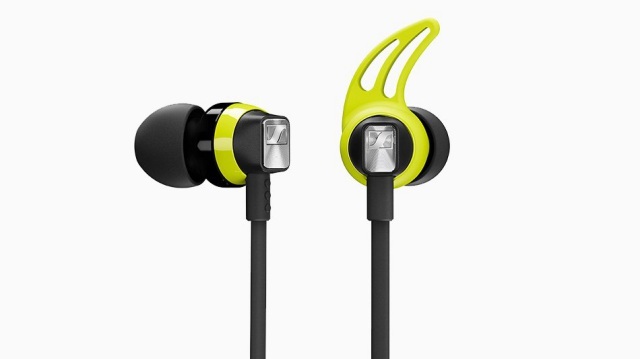 There’s also a clip included with the CX Sport earbuds to help you attach them to your t-shirt. The earbuds feature a splash and sweat-resistant build and come with a ‘made to move’ tagline that reaffirms that it’s designed for athletes. The CX Sport features Bluetooth 4.2 and can be connected to up to two devices simultaneously. It also has Qualcomm apt-X support which ensures low latency and an uncompromised wireless Hi-Fi sound for watching videos. For many, headphones are a true workout essential. We have designed the CX SPORT to deliver everything athletes need to get the most out of their workout session – great sound, secure fit and a robust but lightweight design. The CX Sport touts of a six-hour battery life, which should be enough but Sennheiser has packed fast-charging in these earbuds. While it will take about an hour and 30 minutes to charge fully but a 10-minute charge should give you an extended hour of playback. This is nothing compared to the $69 OnePlus Bullet Wireless earbuds, launched yesterday, which has dash charging and can give you 5 hours of playback in 10 minutes of charge. The Sennheiser CX Sport is priced starting at $129.95. It is available on the company’s website and will be launched worldwide later in June.